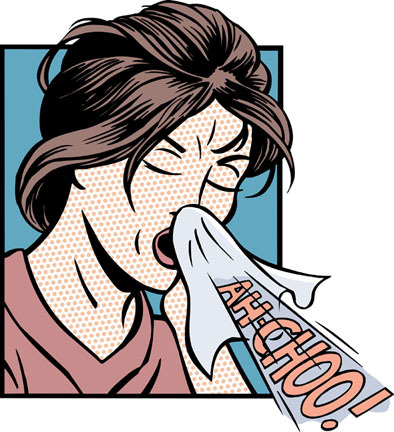 Chick with Books Caught a Cold... It's been HACKing and seems like it caught a VIRUS! Well, it's been a long week or so... I caught a virus of some sort... not me personally, but my computer! All sorts of funky things have been going on as I tried to post, work other applications on my Macintosh and then even use my iPhone and iPad! All my info got dumped from my contacts lists on both the computer and iPhone! At one point Chick with Books disappeared altogether off the internet! Talk about panic! But things have settled down a bit... The Genius at the Genius Bar at Apple couldn't find the problem, ran 2 anti-virus scans there and at home, and restored some of the information on my iPhone. Nothing else has gone crazy, although someone did tell me my "subscribe to this blog" link was not working and will be checking on that tonight. But barring no other problems, I'm back to work on Chick with Books! The Sunday Salon... Summer Reading! Maine by J. Courtney Sullivan... For the Kellehers, Maine is a place where children run in packs, showers are taken outdoors, and old Irish songs are sung around a piano at night. Their beachfront property, won on a barroom bet after the war, sits on three acres of sand and pine nestled between stretches of rocky coast, with one tree bearing the initials “A.H.” At the cottage, built by Kelleher hands, cocktail hour follows morning mass, nosy grandchildren snoop in drawers, and decades-old grudges simmer beneath the surface. As three generations of Kelleher women descend on the property one summer, each brings her own hopes and fears. Maggie is thirty-two and pregnant, waiting for the perfect moment to tell her imperfect boyfriend the news; Ann Marie, a Kelleher by marriage, is channeling her domestic frustration into a dollhouse obsession and an ill-advised crush; Kathleen, the black sheep, never wanted to set foot in the cottage again; and Alice, the matriarch at the center of it all, would trade every floorboard for a chance to undo the events of one night, long ago. This book is splashed all over the web, in emails I've received and has gotten great pre-pub reviews. And I for one am excited about this book! I love generational stories and these 3 women sound rich & complex and should make for a wonderful luxurious summer read. This will be released Tuesday, June 14th! Ten Thousand Saints by Eleanor Henderson... Here's what Publisher's Weekly had to say: Henderson debuts with a coming-of-age story set in the 1980s that departs from the genre's familiar tropes to find a panoramic view of how the imperfect escape from our parents' mistakes makes (equally imperfect) adults of us. Jude Keffy-Horn and Teddy McNicholas are drug-addled adolescents stuck in suburban Vermont and dreaming of an escape to New York City. But after Teddy dies of an overdose, Jude makes good on their dream and forms a de facto family with Teddy's straight-edge brother, Johnny; Jude's estranged pot-farmer father, Lester; and the troubled Eliza Urbanski, who may be carrying Teddy's child. What results is an odyssey encompassing the age of CBGB, Hare Krishnas, zines, and the emergence of AIDS. Henderson is careful, amid all this youthy nostalgia, not to sideline the adults, who look upon the changing fashions with varying levels of engagement. Coming-of-Age stories are always popular, and this has gotten a lot of positive buzz. What may be different with this story is that it takes place in a more contemporary era that is not the norm with these kinds of tales. That may make this even a better bet because we all can relate to the landscape of this portrait. This book was recently released (June 7th) and is available fromyour favorite bookseller! This book sounds like fun! With a group of quirky characters and a road trip, how can you go wrong? Add the fact that this has been published to great accolades in eleven countries doesn't hurt. Kirkus Reviews calls it, "A modern saga of rocketships, ice floes and dreams of the Caribbean, and great fun to read." And I for one am looking forward to a fun romp with this one! Though we had to wait almost 6 years for Buzz Aldrin, What Happened to You in All the Confusion by Johan Harstad, it's now available from your favorite bookseller! So what have you been reading lately?! Does your reading change like the seasons? Do you slow down and read more fun in the summer? I'd love to hear what summer reading means to you! "Tanya Abbott noticed the quiver in her index finger as it pressed the three silver buttons in the rain-- 9... 1... 1. Listening to the ring, she found herself mentally calculating the number of days that had passed since she had first arrived in New York City. Tanya had put the number at twenty-six by the time the dispatcher answered the call..."
212 by Alafair Burke, just published! And if you like crime fiction with a thriller bend, you'll want to pick this one up! Alafair Burke is having a Virtual Book Tour and making a stop at Chick with Books! Look for my review coming in a couple of weeks! Eliza Benedict paused at the foot of the stairs. Time for what, exactly? All summer long - it was now August - Eliza had been having trouble finding the right words. Not complicated ones, the things required to express strong emotions or abstract concepts, make difficult confessions to loved ones..."
i'd know you anywhere by Laura Lippman coming August 2011!